In the last 12 months, I’ve turned down around $200,000 of business from people I didn’t feel were right for my programs. I’ve also doubled the guarantee period of my Earn1k program for no good reason. I just thought it was the right thing to do. And I’ve made some decisions about the upcoming launch of Earn1k 2.0. Each of these moves are unusual — but they’re extremely unusual for people in the information product world (e.g., ebooks, online courses, etc), who typically try to make as much money as quickly as they can. We’ve been talking about hustling this month — or working extraordinarily hard to get disproportionate results. That means if you work on the right things, you can make 2x, 4x, or even 100x as much as average people. And it’s not just money. You can hit your goals faster, worry less, and accomplish more by working harder, and working on the right things. Today, some behind-the-scenes examples from the field (my business) — and a twisted challenge for you at the end of the post. I love it! Follow along and see you how you can use these same techniques for your own goals. I give away most of my material free — 99% of it. To generate revenue, I sell information products as well as a New York Times best-selling book. Occasionally, I charge to speak at companies or conferences. Now, I could make a pretty respectable living by doing nothing and letting my business run itself automatically. But I find it intellectually challenging to run this business as a laboratory, constantly tweaking, testing, and tinkering to see what results I can get. As I’ve always said, testing is critical. But I exist in an extremely odd market: information products, which is largely a weird combination of circus freaks, scammers, and a very few highly credible people selling top-quality products. How do I distinguish myself from all the nutcases? How can you stand out from the other 50,000 people trying to do what you’re doing? Let’s take some examples. Results matter more than anything. I never call myself an expert. Only you can do that — once my material gets you concrete results. I focus obsessively on getting my readers results…and I track everything. How much more likely are any of us to sign up for Earn1k 2.0 now? Only a few months ago I wouldn’t have, and now I’m seriously considering it. By digesting your free material, we’re all taking baby steps towards paying for your material. Precisely. Once you use my free material to see that you can actually get a meeting with a VIP, negotiate your rent or cellphone or cable, set up automatic transfers in 3 days, create a plan to pay off debt, or even earn $500/month…you know it’s real. How this applies to you: Anyone can talk a big game about what they’re going to do. DO IT FIRST — FREE — and watch your business skyrocket. When someone emails me promising me the world for PPC, or SEO, or whatever, I just laugh. I get 50 of those emails/week. Do it first, send over a completed result, and we’ll talk. And remember, this is true of virtually every hiring manager. You can make yourself irresistible by doing the work first. And track everything. A 30-day free course on hustling. Earn1k, which costs more than virtually any other product in the market, but gets you more results than anything else you could get for free — or pay for. How do I charge so much for my material — and get thousands of customers who are delighted to pay — when most people give away free material and mop up the leftover ad revenue? People pay attention when your material is the best, you know it, and you offer crazy proof of how good it is. I recently doubled the guarantee period of Earn1k for no good reason. You see, virtually every person in the information-product business offers generous guarantees and has to live up to their product’s hype…or they go out of business. This is an extremely competitive area. That means previously, you could take half my 8-week Earn1k course and ask for a full refund. After doubling the guarantee period, it means you can take the full course and ask for a refund if you don’t love it. I even eat the credit-card processing costs. Because in a world of scammy info-products, I want to go ridiculously over-the-top to show you how valuable my material is. That’s why I give away 99% of my free material — which I believe is better than most paid products. That’s why instead of launching product after product, I do a few key products each year, spending heavily to build the best — and then charging accordingly for results. How this applies to you: Be careful about doing what everyone else is doing. Do you think running a blog for ad revenue will be highly profitable? Probably not. Do you think you should target EVERYONE for your freelance business? No. Do you think you should be sending out 100 resumes to get your next job? If you’re sending out 100 resumes, you’re doing it wrong. In this world of people making a quick buck, quality is rare. I study customer service obsessively. I read biographies and histories of companies like Leica, The Four Seasons, and Apple. I’m obsessed with quality. And every day, I have to make the decision of long-term quality or short-term revenue. For example, I could actually make a lot more money launching 20 products per year. Or doing shady affiliate deals. Or trading my email subscribers’ to less scrupulous people. The amount of money being left on the table? Millions. But I want your success. Because once my students see that my material works, they stick with me forever. It’s funny — this happens a lot. People pick up my book, think it’s a scam, and try the first chapter (negotiation scripts). Once they do that, they’re IWT students forever. Because there’s nothing like results. And that’s how you get disproportionate rewards. Another example: I send out weekly emails to Earn1k students who’ve already paid and graduated. I get nothing out of it. I don’t charge anything for it. But if it takes me 1-2 hours per week and my students stay happy — if these show them I’m in it for the long term — then that further distinguishes me as someone who cares about THEM, not someone who’s just in it to make a quick buck. That’s why I don’t accept Earn1k students who have credit card debt. They need to fix their debt first, not invest in more courses. That cost me over $100k last year. But it’s the right thing to do. That’s why I recently shut down a highly profitable program because it wasn’t providing disproportionate results to my students. Here’s the actual email I sent that cost me $75,000. That’s why I turned down $100k of revenue in my first Earn1k launch just so we could maintain an extraordinary level of personalized quality for my top-tier students. All of this sounds expensive. But I actually think it’s expensive to focus on short-term results. And our relationship becomes far less like some dude trying to sell you on his expensive products. It becomes about being your advisor, someone who cares about the results you get — whether in your career, or personal finances, or even health and fitness. How many people do you know who focus obsessively on your results? Who track and respond to thousands of emails every week without charging a cent? Notice how frequently I keep mentioning results. That’s because when people lob skepticism at you, you can argue back…or you can simply point to insane results on it. How can anyone argue with that? That kind of obsession lets me deeply understand exactly what the problems are when I go write my next blog post…or create my next product. It’s also what also allows me to run a business where I can create the best products on the market — and make disproportionate revenues from them — because I use all this research to craft the perfect product for you. Look, it’s easy to be average. It’s the default position. But when you can invest in others — when you can get them SPECIFIC, MEASURABLE results before asking for anything — you will get disproportionate returns easily. Think about this with your co-workers. Think about this with your partner. Invest in others before expecting something back. But when you get something back…it will blow you away. Separate the winners from the losers. Last year, during the first Earn1k launch, I made 80% of my revenues from a small list of a few thousand. This year, I’ve decided to only launch Earn1k to the people on my Earn1k Insider list. Earn1k will not be launched through this blog. It will only be available if you’re on the list. That’s because I’m constantly looking for ways to speak more to the people who have already taken action, instead of trying to convince people to take action in the first place. This month, during the course on hustling, every post has had an easy opt-in form. I’ve offered incentives, bonuses, free interviews, and all kinds of exclusive material to join (free). For those who have taken the trivial action of entering their name and email, they’ll get a week of free material on hustling, psychology, and earning more after this Friday. Those who didn’t, won’t. Good question, hypothetical question-asker. I do this because when I invest in you by giving away free material and exclusive interviews, I expect people to invest in themselves — by taking action — and to invest in me. I don’t ask much, but joining a free list is the bare minimum I ask for giving away even more information. If you don’t want to buy one of my courses, that’s cool. But I don’t just give away free material for nothing. I expect my readers to take action. How this applies to you: Don’t try to serve everyone. Have you ever had the experience of trying to convince a lame friend to go out night after night? There’s ALWAYS an excuse. Instead, spend your time on friends who already want to go out…and making new friends. Same for business: Focus on people who already get it — or have the potential to get it — instead of everyone. This week, I put together a twisted challenge for you. It’s funny — at the beginning of this month, there were a few skeptical comments from people. Most of them have faded away. It’s hard to stay skeptical when everyone else is passing you by getting results. So here’s the challenge: Help 1 friend save $500 using IWT material by this Wednesday. Why this challenge? First, because when you teach something, you get better at it yourself. Second, because we’ve been largely internally focused this month. But third, and most importantly, when you see how skeptical other people are, it will shock you — and make you question yourself. Are you that skeptical about other things? There’s no better way to do that than trying to show your FRIENDS how to do something and watching them be extraordinarily skeptical/disbelieving. For example, I LOVE mixergy.com, Andrew Warner’s site where he interviews entrepreneurs in extreme detail. But when I’ve recommended it, THREE people were skeptical. “What’s the catch?” one asked. “Yeah, I should really watch that…” another said. This site, which has literally changed the way I think about my business. This exercise is very revealing because it will show you how skeptical many of you are about things. Even when you patiently explain that no, you did this yourself and it ACTUALLY WORKED, many people will not believe you. But it will be your job to find a way to get friends to save $500 in the next 48 hours using my material. You’ll be applying your best persuasion learning’s from the interview with Stanford psychologist and persuasion expert, BJ Fogg and all the other material I’ve put together. And in exchange, I’ll award a terrific prize to the best result. Leave your results of the challenge in the comments section of this post with the heading “WEEK 4 RESULTS” by Wednesday at 11:59pm PST. Note: Be respectful when you talk to your friends about this. Remember how hard it was for you to take action during this course? Nobody wants a know-it-all. Note: This week, since the awards are so large, you must be a member of my private Earn1k Insider list to be eligible. This is the final week of my free 30-day course on hustling. This week, we’re covering the difference between the best and the rest. Tuesday: Earn1K case studies on Hustling –> Getting people to pay YOU to hustle. 1. Its my own fault-I didn’t take action. 2. While I’m not using it as intended, the material is helping me achieve results in other areas of my life that are important to me right now (volunteering, graduate school, helping my brother with his start-up. 3.Because Ramit stays engaged and continues to send e-mails after the course is completed, I felt like he was committed to his students, and that actually carried weight with me. 4. 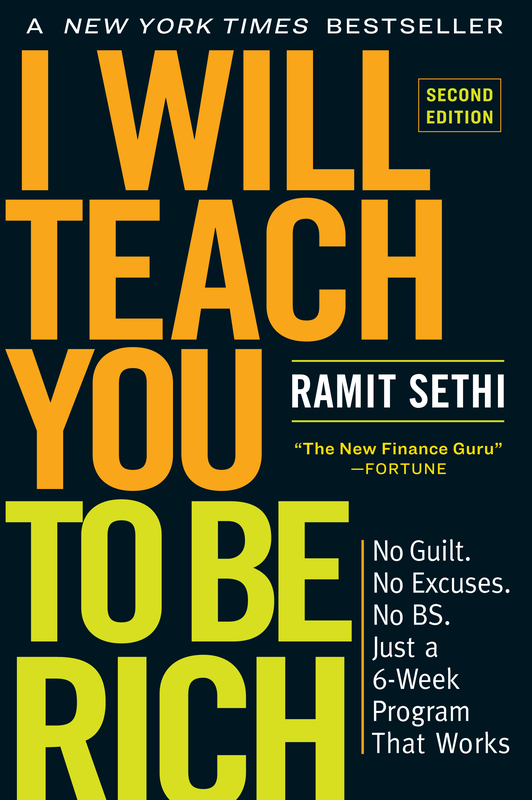 If I’m not mistaken, Ramit is letting his former Earn1K students in on Earn1K 2.0. So, while I don’t worship the ground Ramit walks on, I do think he takes care with his students, readers, customers and his image. I would recommend Earn 1K to friends if they were serious about freelancing and I thought they would make good use of the product. The SXSW prize is awesome! Too bad I’m way too busy with clients to even think about this (snaps to Earn1K for helping me get into this predicament). I like this challenge a lot. I’ve been using the earn1k free material to try and convert some friends into self-employed happy people rather than corporate slaves and it is very very very very very very very hard to get them to even try a few hours on the side, despite the fact that they complain endlessly about wanting to work on their own. sigh. I am starting to get really specific and get results. The first “days” are pretty tough, but I persevere. I have used your Earn1K techniques and email scripts to get in touch with photos agents: I have spent hours making these emails not just OK, but GREAT!!! Plus, I have NOT included any visuals/photos I have done, neither my website address, which is strange for a photographer, but I wanted it this way to see their reactions. Gues what? I got 5 answers back on 7 emails sent (some email back, some call), which is a HIGH response percentage, with 1 appointment to come in February. Some of them are VERY interested but their agency is already full. Man, your material get results for sure. I’ll keep you updated on more later. And I’ll come to SF to buy you a drink. Count on me, I WILL do it. David from Paris, Earn1K student. Love it. Another happy Earn1k student. In PARIS! I might be asking for some dining recommendations soon. Well done David! I like the idea of sending great emails without visuals and still getting a great response – seems counter-intuitive, but you can show results! Go for the course. I was in the same predictament. The money I’ve made from the Earn 1K course has more than paid for itself and paid a fair chunk of my debt to boot. It’s definately worth the money as long as you hustle on the work involved. I’m guessing “debit” is a misspelling of “debt” – my question is, did you just recently make the decision to turn people down with credit card debt, and you used to let more people in? I only ask because it was one of your main talking points. PS – The challenge smells like Jean-Pol Martin. 🙂 I like it. This is too funny… just this morning, I forwarded one of your emails to a friend for the very first time! Oh, and I’m also carrying a cheque in my wallet, but I know that was just a metaphor. I think I’d rather help a friend EARN $500 instead of SAVE $500, but I’ll try both. Great material as always. Undergoing interviews now and the jaw dropped look you get with the briefcase strategy brings a smile to my face every time. Not sure if this counts for the challenge, but why not: saved my boss ~$8000 (assuming his son takes 4 years to finish college.) His son received a better financial aid offer by 2k/yr at a school he didn’t want to attend, but they hadn’t tried to negotiate with the college because he is in running for a separate 2k scholarship for that school that would make the offers equal. I suggested they contact the office of the top choice school with the higher offer without mentioning the additional scholarship on the side. He emailed the other offer over during lunch, put in a quick call to the financial aid office, and they are matching the offer. Now even if his son doesn’t get the other scholarship, he saves 2k per year. Not bad for 10 minutes of work! I actually started sharing some of your stuff with friends last week before I heard you’re offering the SXSW prize, but thanks for the extra incentive! I got a lot out of the BJ Fogg interview, and felt that my close friends could benefit from it too. I sent them a series of emails (not unlike yours) that tied those concepts to things I have in common with them, like our church’s messages on wisely using one’s time / money, and our mutual friend who went from chain smoker to He-Man lookalike in about 6 months. Some of them have signed up for a Dave Ramsey class that will help them get control of their finances and hopefully save thousands in their lifetime. I can’t claim credit for them signing up, but I may have nudged them towards it. Anyways, I appreciate you sharing interviews like that, as well as your other free content that not only helps people make money, but get a sense of peace and freedom as well. Good stuff. Focus on goals, not just content. If you send people random stuff, they’ll barely read it. If you say, I WANT YOU AND I TO SAVE $500 IN THE NEXT 48 hours, the material takes on a whole new urgency. I agree, it’s goals that are important because content by itself doesn’t get you anywhere. In my case, I challenged my friends to share their goals and use some of the methods in the BJ Fogg interview to increase their chances of success (specifically the baby steps, changing your environment, accountability and envisioning the outcome). Some of them are financial and others are getting in shape, breaking a bad habit, etc. I just sent the “I WANT YOU AND I TO SAVE $500 IN THE NEXT 48 hours” email. Woot! Ok, I know this is not about money buuuuut it is about getting friends to do things and ridiculous responses. I was totally shocked…. my friends actually complained to me that I wasn’t convincing enough to get them to try it earlier. In the company I work by now, I’m badly underpaid (too long history), less than 200.00 month, but with enough time to begin working on the side, began working 3 months ago, as an electronics engineering consultant (up to 800.00 month and going for more), friday I convinced a friend to work on the side for the same company (selling their products) to earn more, and today night, he will be negotiating prices. The process with my friend began by january 6-7, he has worse problems than me, but one of the points I told him to be working for is to pay his debts. 1. JUST LAST WEEK I sent friend the budget I use based on your book. It accounts for all of my fixed bills, 20% savings split into 3 different categories, and a guilt free spending category. My friend filled it in and over estimated her and her fiance’s bills, savings and spending just to be safe and realized they had $800 left over and had no idea where it was going. 2. My boyfriend is an entrepreneur and I’ve been trying to help him start up his company. He was paying an obscene amount for a website/database, virtual phone system, and a monthly amount for a shared office space. We met with one potential client and realized he had a lot of kinks to work out. “Well, Ramit says most people get a website and business cards BEFORE they do any testing or talking to potential clients or potential competitors.” He called TODAY to cancel all three accounts, saving well over your $500 assignment and we’ve started a list of people to contact. I’m sure there’s more, but I figured I’d get 80% there and just put these down! And just FYI Ramit, I’m going to start taking credit for your material because if I say, “Ramit says..” one more time, I’ll want to stab myself in the eyes, nevermind my boyfriend or anyone else. OMG, I can totally relate. I also use so much <> that even my mum asks me on a regular basis about what Ramit is up to. So much fun. *frappaccino*?!? Now, seriously…. how can you be taken seriously with a frappaccino? Guess it depends on which part of the world you are in! Nice application of a study you shared with us earlier. How to get housewives to buy more of a certain product (I forget what it is…let’s say brussel sprouts). Instead of just educating the housewives on the nutritional benefit of brussel sprouts which only resulted in about 3% of them adding brussel sprouts to their families’ diets, the researches gave them the task of trying to persuade other housewives to buy more brussel sprouts. In the end, the percentage of the housewives that were involved in actively trying to persuade others to buy more brussel sprouts skyrocketed to something like 33ish%. By having us try to persuade our friends to use your material, you’re really trying to get us to buy it. This is the secret of why Jehovah’s Witness, Mormons, and other religious groups do door to door recruiting. I read the IWTYTBR book from cover to cover and did nearly everything assigned (some tips and instructions didn’t apply to my situation). In the “Conscious Spending” chapter where you track your expenditure, I realized I was spending too much on my fixed costs (bills). I need to lower the percentage. I remembered you had scripts on your site, so I used them to lower my auto insurance, cell phone, and internet. These were big wins that saved me over a thousand a year. Along with following the advice throughout the rest of the book, my financial house was in order. My parents don’t know how to handle their money well. I wanted them to stop spending so much on things they don’t use. They have a huge satellite package with hundreds of channels and only watch ZeeTV. I told the rep that times were tough and we needed to switch to a smaller, cheaper package with their company. He told me we were bound to some contract yadda yadda yadda and couldn’t switch. I told him that wasn’t going to work for me and threatened to leave. At that point his tone changed and we got a cheaper package, saving us $50/month, which will be a total of $600 throughout the year. Randy, I *very* strongly suspect that both your parents are boring, nearly to tears, each and every one of their friends with detailed, lengthy and almost certainly tedious tales of their brilliant son’s financial genius. That interview & webcast was really impactful. That simple line Baby steps and Success builds Success made a light bulb go off in my head. This is truly the key. I have since started studying 10 pages a day out of a book that i need to study to get a certification. The book has 2000 pages. Setting a tiny goal of 10 pages has helped build tiny successes & a major confidence boost. Also applied it to working out. Congrats. Great job. I especially love how you applied it to working out. Nope, no donations. My hope is that you get to such a level with my free material that you want my help to get to the next level. And that’s where courses like Earn1k and Scrooge Strategy come in. if you come to Paris soon, you’d better email me. I’ll show you – with great pleasure – one or two restaurants with amazing food, where only insider parisians go!!! And if you’re not satisfied, I am offering you a 30 days refund (! ), no questions asked. I really respect your integrity, Ramit. Thumbs up for not taking people with the credit card debt to Earn1K and encouraging them to sort out their finances first. I have given 2 young co-workers copies of your book, talked with them and highlighted the sections about putting money in their 403b accounts, how much they can save if they just do it for 10 years, the tax advantages, and the employee match. One signed up himself and had his young wife (who works for the same company) to put 6% of each of their salary into the 403b, and with the employee match, and the tax advantages, they will each easily be ahead $500 this month. I have been trying to get them to do this for over a year. Your book just laid out the facts in a way that made sense to them–and to me. I’d been raving about your stuff to my mom and she had been intimidated by the more extreme things like using Mint (hey’ she’s old, give her some slack! ), so I took another approach and offered to help her cut costs on some of the smaller things she’d been complaining about, like her too-high cable bills. I pulled out my copy of your book, had her read the negotiation scripts, and then she called the cable and phone companies. Guess what?! We managed to shave about $150 off her monthly bills! $1800/yr ain’t bad. With that win under her belt, I started to talk up the benefits of ING, knowing that she was dissatisfied with her savings account at an old crappy local bank that doesn’t even have an iPhone app. I looked around and found a promotion where you and your referrer get $20 for signing up, and cinched the deal. Next was to consolidate money in old crappy accounts scattered around different companies. She felt empowered to start calling them up and discovered that one of the banks had actually been taken over by the Fed. Time to move that money! By now, the system was starting to take shape, but management was becoming a problem. With all these accounts—even after colsolidation—it was a hassle to keep track of them all. “No problem!” I said and I logged into my Mint account and showed her how easy it was to get a birds-eye view of everything. Now that she had a complicated system she felt empowered to take care of, Mint seemed a lot more attractive. She signed up then and there. I worked with her over the next day or two to get all of her stuff into Mint. She was an instant convert. Then something awesome happened: after logging into a mutual fund she invested in years ago, she found $6,000 that it had disbursed to a money market account she didn’t know existed! She took the cash and bought Apple stock, which has increased in value to about $6,500 now! All in all, she’s started an automated money movement system, saved over $200 a month in bills with no loss in service, found $6,000 she didn’t know she had and grown it to $6,500, and now feels totally in control of her finances. WOW! that is GREAT! And inspiring. Well, I have credit card debt, so I guess I’m out. But I’ve been paying it off through a debt consolidation program since last Jan, and use the one card I have left sparingly if at all – I have to, it only has a $500 limit – but some day soon I’ll be free of it! I don’t really have a way that I saved a friend $500, but I did want to take this opportunity to thank you for the inspiration you gave me to move on from my mundane job at a small corporation. After reading one of your earlier posts about testing responses, I decided to take action! I wrote my resignation letter the night of January 18th, and turned it in on January 19th. My boss was in total shock! I explained to him that I was tired of the corporate BS and ready to do something different. The next day, my immediate boss and two of the higher ups asked to speak to me. I proceeding to give them a 30 minute presentation on why I was frustrated, and how I wasn’t the only one. We have had about 5-6 people leave in the last month, and 8-10 in the last 4 months. Obviously something was wrong, and no one at the higher level was listening. They wanted me to stay, said they were making “changes”, and hoped that the said changes were going to make things better. I told them I’d think about it over the weekend and let them know. The next week, I again approached my boss on Tuesday to let him know I had reached my limit and did not want to continue with employment there. Again, he didn’t like my answer, but was willing to accept it. And once again, the higher ups approached me with a different offer. This time they were willing to let me set the conditions. They even offered spa treatments once a month for my wife if I was only willing to give it 3 more months! I went back the next day and gave them my offer. I would work 20 hours a week as a contracted employee. I wanted a $15 per hour raise, and I wanted them to pay for my medical benefits. In return I would remain on for 3 months and take care of my normal day-to-day responsibilities while they found a replacement for me. I thought for sure they would laugh me out of the room. I was wrong. They took it!! Now, my last day of “full-time” employment is this Friday. I start my contracted work with the same firm on Monday. I let some friends and other business associates know what I’m doing, and they offered me other work on a contract basis. I’ve decided to set my sights high. I’ve started applying for my business license, insurance, etc. to become a consultant in my field doing the same thing I’m doing now, but doing it for me instead of some CEO sitting in an office somewhere. I wanted to say thanks again. I have always been a fence sitter and never really took action. It was those initials emails that made me stand up and decide to make a difference for myself and my family. Thanks, Ramit! Within two weeks, several of my predictions had come true and they called me in to work for them as a sysadmin. This week’s challenge seem possible and practical. Nice one Ramit! Convinced one of my friends to order your book. I did this by continuously talking about you (along with Tim Ferriss) when money or productivity was brought up. In essence, this was an “indirect sell;” my friend told me one day that he should order your book because he always saw and heard me speaking about you in positive terms. I never pitched the book to him, but I let him figure out it filled a need on his own. Although small, he now is planning to get a credit card to build up credit. With a lower CPR and rewards, this card will save him thousands of dollars over his lifetime. I was also talking with a friend who lost a job recently. I sent him a link to the “Earn More Money” section of your blog. He’s intrigued, but I’m unsure if he’ll take action. Unfortunately, I can only TRY to help my friends–they have to take the actual steps. I just got my 1099 (I am an IT consultant for a large US bank) and unemployment 1099 (I was laid off first 5 months of 2010) yesterday and decided to quickly run my taxes to see if I have saved enough for the tax bill using your finance automation scripts. To my surprise (I knew I was putting away more than needed, just wasn’t sure by how much), I saved more than $10000 more than what would be my tax bill for the year! Using your finance automation ideas I was able to pay down some debt (about 10k this year), save up in my ‘rainy day’ account and more than enough for my taxes, for the total of about 25k!!! That is about 35% of what I earned total in 2010! Now I can use that extra money I automatically saved (saved from myself that is) to pay off my last credit card debt (bye bye American Express, our affair was long and painful) and even give myself a little bonus of long awaited vacation! After that I will be attacking the personal debt to relatives, and plan to be debt free very very soon! All this coming from the guy that has been in perpetual 5 digit debt since 2004. Oh, and I am also starting my side IT/Business consultancy with 3 other partners, to cross sell our skills and knowledge and get better paying clients for more complete projects, not just individual IT tasks. Goal -10k extra in profit in 2011 each. For months, I’ve heard about problems that my friends and acquaintances have been having with money and the most popular quote among my group is,”I can’t, I’m broke.” I’m sure I’m not the only one with a circle like that. In response to your action step, I actually completed this task before it was a challenge. A close friend of mine has incurred ten’s of thousands in loan debt and has had to put their dreams on hold because the debts have not been paid. The icing on the cake was that they ignored several debt payments for over six months accepting defeat and believing the only way to accomplish what they wanted was to win the lottery. Luckily this person did not have any credit card debt so, that was one obstacle out of the way. I had an in depth conversation with them about taking action to achieve their goals and, up until last week I had previous conversations about the same things all I got was but, but, but, but. I said, “we can’t do anything if we rest on our buts.” This time was different because living circumstances had changed and it was a catalyst to have them ask for help. Long story short, I used your debt stacking method to list all of the debts owed and which one’s needed to be paid off first. I also convinced this person to set up automatic payments so that they knew how much money they were working with each month for their lifestyle. This is the first month of taking steps in the right direction for this person, but your book and methods therein have helped correct a course that was veering in a very dangerous direction. Thanks for all you do for the community. Convinced my friend to practice for her interview tomorrow. She’s been looking for a job for three months now. I’ve shared with her your posts on negotiation. Today she wrote up a script and talking points for the interview. I’ve also gotten her to take action on well, cleaning her space. She’s noticed how much I’ve been getting done using the time management techniques I picked up from Earn 1K. She’s applying those techniques to cleaning her room with the goal of being able to paint it and create a work-space there to get her out of the kitchen where she’s been working. We’ve also created strategies for setting boundaries with her family. We’ll see how it goes after the interview. We’re going to do a dissection of the interview and see what worked and didn’t. My story is similar to a comment above. I have a friend who has been searching for a job for over year (!). I recently video-conferenced with her to ask about her interviewing technique and try to pin point where my ultra-amazing and hardworking friend (former coworker) was going wrong. Last week, I offered to help her role play a big interview today with a company she’s long admired. She agreed! So yesterday, I went through both tough and easy interview questions with her until she got the hang of answering confidently. We watched the “briefcase technique” video together and brainstormed ways she could use the technique for her interview today. We compiled a list of things she could mention and do to help her stand out during the interview while focusing on solutions for the company. She’s in the process of making travel arrangements for her in-person interview in DC next week. Thank you for the fantastic advice and for the challenge! Particularly for those of us who are hungry to build wealth, it can be a constant challenge. I left a pretty decent paying marketing gig earlier in the year to stay at home with my son and strike out on my own doing what I love (writing and teaching yoga). It was hard in the beginning to make very little, and the temptation to go back to a six figure job was often in the back of my mind. But, I waited it out and looked for strategic opportunities that may not have paid so well, but had other intangible value that my gut knew would pay indirectly, in the long-run in the form of cache, connections, exposure, etc. This week, I managed to get my mom to open an ING account for savings. She promptly deposited $2500! (Mom likes to shop, so if she hadn’t moved this money, she likely would have spent it, stat.) And I also set her up for recurring deposits of $20 a week. That’s well over $10K a year! Yesterday I invited a friend of mine to dinner and we had a looong talk, he left at about 1 am saying: “I should have known this was a trap, at least it was a good trap”. Giulio has a stable job but he never has enough money, he can’t get a hold of was he spend on. After we finished eating I started THE TALK. It was something like this: “Big G we need to talk…. I know it will be a really hard thing to do, but you are one of my best friend and there something I need to tell you”. 2. I actually scripted the whole conversation in my mind and repeated it many times, this was the best intro I could come up with. He started laughing, but pretty soon the conversation became serious, it was really long and I won’t write it here. What I can tell you is that I had to work really hard to convince him (seems incredible since it was for his on good). I had to show him in detail my finances and how they are automated (something I actually didn’t want to reveal, at least not at this detail, but I think it was one of the things that helped the most). What I got him to do? Start automatically saving for a down payment, for replacing his car and for his marriage (the hardest one to convince him since he is still single) luckily all this thing are about 5-7 years ahead so he doesn’t have to save A LOT monthly (630€). I had him sing up for an ING account in front of me, but I will let him take a few steps on his own. I know him, is one of those who is really hard to get him to do one thing, but when he says he will do it, you can bet your right hand he will do it. Next steps are getting him to earn more on the side, will he accept my next dinner invite? He currently is paying $270 to his cards per month. I’m assuming this will remain constant. He uses Mint, so this is the known-average since he landed his current job, about 8 months ago (recent college graduate). Notes: Pay $230/month to the Chase card until it’s paid off, then focus all efforts on the Discover card. Discover: New Balance $909, all else the same. Notes: Still focus on highest APR first, even with the intro period. Thus, $135/month on the Citi card until it’s done, then $250 on the CapitalOne card until it’s done, then finish off the remaining on the Discover Card at $270/month. In week 2, I made these exact same changes after calling up and requesting a lower APR. Chase didn’t budge, and I actually had just paid off my other card. I know in IWTYTBR you tell us not to do balance transfers. I was disappointed because you didn’t explain why, but my guess is that it can be very dangerous for someone who can’t balance their accounts. After all, that’s how most people get into credit card debt, to begin with, so giving them more credit is dangerous. Both my friend and myself never carried a balance until very recently, and the trigger was growing expenses and lack of income while in college. They saved our butts then, but now we gotta pay them back, and the interest can be killer on top of massive student loans. Since getting full-time jobs, we’ve both been increasing our net-worth by nearly $1,000/month, so I think it’s fairly obvious that we can balance our budgets. In fact, he doesn’t even carry his credit cards with him, he only ever used them for emergencies, and now that he has steady income, I’m pretty sure he doesn’t use them at all. My point is – we’re both the types of people that can handle having credit cards, as long as we have a steady income stream, so the “risk” of a balance transfer is minimal, and with 0% intro APRs, the reward is huge. In the end, he thanked me profusely for pushing him to do this. It was literally less than 6 hours between reading this blog post and when he had the new accounts all setup. I found it relatively easy to push him to do this, and he found it relatively easy to save $2,200. Thanks, Ramit – from both of us! This won’t count for the prize, since my friend and I won’t meet up until Friday, but I KNOW she will be saving at least $500 after we are done optimizing and automating. This girl is the classic case in your book, Ramit. She earns a decent paycheck and knows she needs to be doing SOMETHING with her money, just not exactly what. From our preliminary talks, I know that she has some small medical debts and a tiny bit of credit card debt that will get paid off immediately. I am also going to set her up on mint.com so she can see what is happening with her cash as it comes in and leaves. But, I think, the biggest gain with her will be setting up a Conscious Spending Plan. She loves nice clothes and eating out for lunch every day, but (supposedly) doesn’t really care where she lives or what she drives. But her spending in those two categories are really disproportionate. A car lease, really? Wake up. So we are going to get those taken care of with some negotiation scripts. Like I said, this is all going to start going down on Friday. Added bonus: she has mentioned she has some friends at work who need the same kind of help, which = potential side hustle for me! Win-win. That’s a great challenge. And you’re right…it is great to see your friends put this stuff into practice. I can only imagine what you’re feeling when you see so many people succeeding and taking your advice. – It actually utilizes more of Charlie Hoehn’s ‘Recession-Proof’ Grad material, but I did get that through your site and e-mail list. He also used your negotiation techniques. – I’m not sure how much of the benefit was from him utilizing all the techniques, but at least it looks nice in the end! Two of my friends (one who interns at my current company) were asking me a few weeks ago about advice finding a job and interview skills. I talked with both and then sent them Charlie Hoehn’s Recession-Proof Grad .pdf. One came back with some questions and said thanks for that, but he also had an interview and wanted to learn about negotiation….then of course I sent him about 3 weblinks to articles on the IWTYTBR site regarding negotiation (under your negotiation tab). 2 weeks ago he went to the interview (for a restaurant manager position at a casino in Lake Charles, LA)…he had worked in the food industry before and wanted to get back into it. I just got a text today from him saying that he was able to get a starting salary that was $8,500 higher than anyone else they were bringing in for similar positions in this round. I think he knew that from a guy he befriended through the interview process…but he definitely thanked me for the material, and I hope he continues to read the site! The other friend crafted an e-mail to a marketing manager at FootLocker/EastBay…one of the companies he’d really like to work for….using Charlie’s guidance. He got an immediate response, set up a 15 minute phone call today, and had a great conversation with the employee. She even asked for his resume to cycle to the hiring manager. Hopefully that one works out too! Thanks for the great articles and the help they are bringing to people who utilize them! I don’t think either of these is going to qualify for the prize, but I’m so tickled by them I chuckle every time I think of it. I targeted two people. 1. A friend of mine who lives nearby. She’s pretty frugal, so I thought saving her $500 would be tough, and I dropped that goal. HOWEVER, it turns out she has been thinking about freelancing for a while, and we now have a tentative plan on how we’re going to move forward together. 2. My husband totally misunderstood the challenge, and he saved me a lot of trouble by going and saving someone else $500! A group of his friends have the same stereo he has, and he researched a mod of some kind (sorry, I zoned out during the details) and wrote up a PDF on how to do some thing to it that’s apparently pretty awesome. One of them emailed back to say that this was going to save him hundreds of dollars, since he was about to buy a new stereo, and now he can do this thing to his old one and not have to upgrade it. Not bad considering I thought I was going to be coaching my husband through the upcoming negotiations for a new job! (We’re doing that too). One of the hardest parts about this for me was deciding who to send this email to. I could have just blanket emailed 40 friends but I decided I would target the friends that would be most receptive to some financial tutelage. I picked the 9 friends I recently took a 3-day snowboarding/skiing vacation with. We all make a good amount, and I know a few of them are already better than average with handling money (having a semi-automated system, negotiating with the credit card company, actually having a savings account and 401(k)). I framed the email by starting the subject line with “looking for some help” (principle: if you stop to ask for directions, anyone will help you). Then I told them there was this contest that I was looking to win in 48 hours that required me to help them save $500 right away (sense of urgency). I let them know that if they were interested, they could reply back with whether they would like to save money for next year’s snowboarding/skiing trip, or if they’d like me to help them lower their bills (simple and not throwing too much info at them). I then mentioned that yeah, this might sound like some magic-bullet scam, but this stuff works, and it’s how I was able to go on the trip with them (easing fears). As a bonus, I told them that even if this doesn’t work I’ll buy them dinner next time I see them (no-lose for them). Before I sent the email Monday night, I tried to guess their needs and had a series of links to negotiation scripts, money automation, and the 30-day save $1000 tips. I was pressed for time, but this helped me to quickly tailor a response email to whatever they’d get back to me with. After following up with them all, and letting them know I’d be happy to help walk them through or practice anything, I did another check-in this afternoon (Wednesday) to see if anyone had implemented anything or wanted help. 4 is on an irregular salary (college student working summer/winter internships). But they implemented a schedule transfer for a future vacation, putting $25 into savings immediately, and setting up $25 scheduled transfers for each month. They also are attempting the gas hedge fund tactic. 2 is currently looking through his monthly expenses to call up some of them tonight. …Got their student loans deferred with subsidized interest (they’ve been out of work for a little while and meant to do this). While they know they still have to pay it off, this has temporarily put $325 back in their pocket each month. …Negotiated their internet down to an introductory rate ($20 from $45) saving $25 a month for the next 6 months. …Cancelled their Hulu plus since they have Netflix and it’s redundant, saving $8 a month. I’m actually impressed that my friends rose to the challenge and were able to accomplish this much. And the response was so positive! I wasn’t able to help any single friend save a full $500, but this was a learning experience for all of us and an excellent challenge. I’m glad I did it! I’ll be following up tomorrow if I get any good news back from 2 or 3. Thanks again, Ramit! These past few weeks have been amazing! i sent my buddy from high school a text about picking up your book for investing and saving advice. he just got a huge chunk of change on an insurance settlement and he’s looking for ways to make his money grow. he later sent me a text saying the name ramit setih was money. he’s also my one friend i talk about long term financial goals with so it’s cool that now we’ll both use concepts from your book to bounce ideas off of each other. Wow! I am amazed at the results I see here! All the more because I crashed and burned on this one at first. I was able to show a friend how he could save $50 on his cell phone bill, but he declined to do it! He said he didn’t want to get tied down to a 2-year contract! On the other hand, I believe I’m helping my employer make thousands of dollars he would have otherwise lost. I don’t handle accounts: I’m a creative director, so I write and create visual designs. However, we recently lost our two account managers and my employer’s attempts at running our accounts personally left a good deal to be desired, so I stepped into the breach with a new client and persuaded my boss to let me run it. So far things are going well, and this account will be a shot in the arm to our bottom line. I also switched my accounts to ING. You have written about the benefits of their savings accounts, including sub-accounts. I found that with their checking accounts I can use any ATM in the AllPoint network and they won’t charge me fees. This is even better than what the Chales Schwab Bank offers, because they will reimburse six transactions per month up to $9.00, and around here some ATMs charge $2.00 to $2.50 if you’re not with their bank. I checked, and there are plenty of member ATMs in my area. There were a number of other things I liked, so I went ahead and signed up. Of course, I have an automatic savings plan. Ramit, I got serious results. The original goal was to help one friend save $500 by teaching them some of your techniques. I figured why stop at 1 friend? I want to get really disproportionate results! I started out by quickly picking three friends who I thought would all benefit from learning this stuff. I double check with some mutual friends about their financial situations just to make sure I was on track. Like you mentioned, people are already skeptical when it comes to this and me doing a little bit of research to make sure I was targeting the right friends would help ensure I was barking up the wrong tree. Two of these friends I knew for a fact were serial debtors. Now no one likes to talk about their debt, its such a sensitive issue. I called up each one of these friends separately and told them I hadn’t seen them in a while and wanted to catch up over lunch–my treat. While at lunch, I asked each of them if they would be willing to help me. My line was I’m working on developing some ideas and putting together a slide deck with information to help young people live a better lifestyle. I’d really appreciate if they would come to a short 20-minute session and critique my slide deck/advice. Two key psychological points here: 1. If you present yourself as “testing” or “developing” something and looking for feedback, people will be more likely to commit to helping you. I guess if its something which is not well developed yet people seem to think its safe to help you with it and less likely to be a scam, people want to feel valuable. Also something which is “fully developed” makes people think it requires more commitment. 2. By not fully revealing what I was working on created a tremendous want for it. One friend told me multiples times a day “I can’t wait to see what you are working on.” Build a mystique around your products or offerings, it helps build the anticipation. At this second meeting, those 2 joined with another friend and I spent 20 minutes talking about improving your lifestyle through automation of finances and negotiation. I chose those two topics because i believe those two places provide the most room for getting quick wins. I printed out Ramit’s automation flowchart and gave it to each and spoke a lot about the CEO method and some other principles in general. I explained to them that not having to waste money on managing your bills every month, calculating your monthly fixed costs and automatically setting them up to be paid would offer less stress and allow more time to think about and plan activities. At this point, they were so fascinated and I knew I had won them over. My goal though was to help them negotiate their credit card interest rates down, since they are perpetually in debt. After giving a short pep talk about negotiating, we decided to try it out and call their credit cards companies. Long story short, one of them got his interest rate reduced from 16.99% to 11.99% and the other one who was actually paying a penalty interest rate of 23.99% because of late payment succeeded in getting them to reduce his rate to 12.99%. The first friend has just a little over $2000 in debt and the second one was over $4,400 bucks in the hole. After one phone call each (with me giving them a lot of pre-call advice and tactics) they are now saving: Friend 1-about $730 dollars if he just pays the minimum and Friend 2-about $3844 in interest if he does the same. Overall they are paying less interest, are more aware of how the interest really adds up and both are eager for me to help them figure out how to quickly wipe their debt out quickly (sets me up for an upset)! The third friend is a story in and of itself and kind of tragic, but it has a happy ending. My friend, lets call him B is 27 and he has never, as shocking as this is, had a bank account of any kind nor a credit card. Literally nothing. He has 0 credit and he has kept $30,000 dollars of life savings in a sock hidden in his bedroom. DOES THIS SOUND AS CRAZY TO YOU AS IT DOES TO ME? IN A F@#$#N SOCK! He’s always been a bit paranoid about putting the money in the bank, mostly because his dad was paranoid and passed it on to him. The cool thing with B is that it didn’t take much convincing. He trusts me a lot because as he puts it “I’m a brain” and after seeing how happy the other 2 guys were, he was on board right away. Long story short again, when I fully understood just how ludicrous his situation is, I dragged his but down to the local capital one branch, helped him open a checking and savings and begin automating his cash flow. We applied for a secured credit card so that he can start building his credit and made sure that he understood some key psychological concepts revolving around money and trust. Believe me if you’ve never dealt with a paranoid person before, its the most draining experience of your life. He must have asked me the same 3 kindergarten questions over and over and over again. Questions like “you’re sure they won’t steal my money?” Oy! I don’t know that I necessarily saved him money, but his savings account at 1.25% interest for 3 years will net him a little over 10,300 bucks. Also, though he still kept some of the money in the sock, just getting him to finally break out of his self-defeating scripts and having him become aware of how much his broken psychology and self-talk around money has been a detriment to his life is really the meaningful part to me. This small little win has given him more confidence over the last 2 days and he’s become full of positive energy and started asking me things like “Hey do you think it can possibly own a house one day.” He’s just thinking in ways he’s never thought before! I also got him a copy of IWTYTBR and told him to study it religiously. I helped a couple friends save money and helped another friend save his mind and get on track to managing money and savings some. Not too shabby for a 2 day hustling quest. Well this is the week I have failed to get some results, but looking at the comments and I realize that there is really a way to help my friends. Yet the hardest part would be getting them to take action. I asked one friend (poor targeting and action, I’m guilty) I said “want to save 500 dollars?” He said “Life goes on I got things to spend, pay bills and so on” “it’s impossible”. I had to laugh because I knew that was the exact response that was coming. It was not “umm that sounds great, how?” or something like that . I’m in a somewhat different position since most of my friends do not really make a lot of money. I can think of some people that do make a regular good paycheck now but not in my proximity. To say, I didn’t really Hustle would be a answer. I think I already was defeated this this challenge when i took on the mindset that this is going to be a impossible challenge. Now looking at the comments I realize that there are many things I could have done to help my friends save 500 dollars. Heck I should be doing some of those things myself. I liked the mixergy.com website because it had great stories about how to start a online business from successful people who have done it already. This is still a ongoing learning experience. This occurred about two weeks ago, but I still wanted to share the results with you. While in New York I was discussing negotiating raises with a friend and shared a few of your techniques, specifically on emphasizing value with direct proof and tying it to meeting/exceeding the goals of her boss and company. My friend is already a top performer, but with the help of your advice and a little nudge from me she was able to confidently walk in and negotiate a 15% raise two days later. A few hours of work on her part amounted to a relatively painless $7-8k win that will only continue to compound. As you already know, your advice works! And thank you for it. -Timing is everything. If they’re not ready, no matter how much you drill it down for them, they won’t take action. -Baby steps are so important. Too much info too soon overwhelms them. I started with just talking about making a system that’s automated so you don’t have to worry about it and can focus on what you do want to do. That resonated well. -Told another friend that I was helping this friend save a few hundred. Lesson that I learned? A few hundred is too vague and/or too little. Next time I’m going to test two responses: $500 and $1000 to see if they bite. -I sent over a referral link for ING Direct and gave step by step instructions on how to set it up as well as sub accounts. We’ll see in a few days if he completed it. -Mentioned that with the opening of the account he gets a $25 bonus with a $250 deposit so it’s essentially a 10% guaranteed return the first year. Didn’t have concrete evidence of $500 saved but gained so much insight and like Tim Ferriss said today, I did the one thing that I wanted to do this week so now I feel satisfied at the end of the day. I came home super motivated but I just didn’t take action. No excuses, all my fault. Hey so, how much caffeine DO you consume each day? I decided to start an internet-based, screen-printed t-shirt company. I started the site, ordered 8 varieties of test shirts and a small screen printing kit. My idea was to submit a design a week, market the hell out of it, then only order/make shirts as they were ordered so I could see what designs sold. At that time I would create a stock of 5-10 shirts in S, M and L, thus slowly building inventory that I would unleash on the boutique and summer streetfair markets. …So far the screen printing kit remains unopened. Turns out I don’t really want to do that part. I just want to do the designs. Step 2: Option 1. I am currently researching screen printing companies online that will do the printing and shipping to me for under $10. I do not want to sell the t-shirts for more than $25 apiece. The initial problem that I’m finding is the quality of the shirts is awful for low-priced services, and the price for quality shirt options at the other screen printers is too high. Keep searching and inquiring. Option 2. This Saturday I’m going to walk into the weird, cluttered, tiny custom screen printing shop just a couple blocks down the road and have him/her quote me the price for 5 to 50 shirts at one time. I will order the shirts that tested well (approximately $5 apiece) and if he can print on my shirts for $5 each or less, we are in business. I’d consider paying up to $7 a shirt, but don’t tell him that!